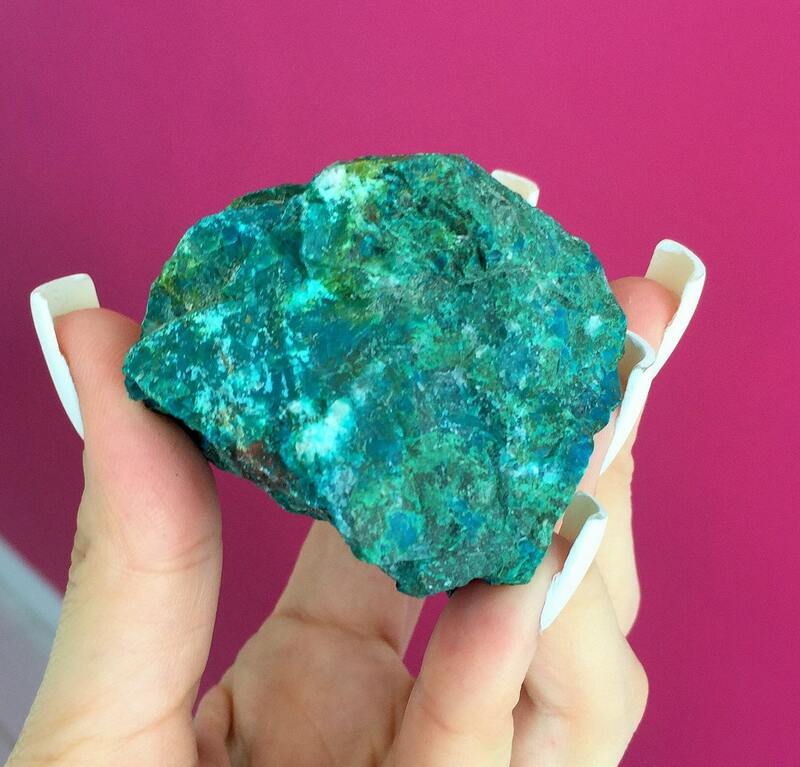 Chrysocolla crystal healing properties help to purify energy fields, which increase your capacity to love, the best medicine for healing. It also opens the throat chakra, which boosts clear communication and self-expression by drawing negativity from the body. Whatever challenge you're facing, whether it's a break up or job loss, the stone calms emotions so you canheal and move on with your life instead of dwelling on past mistakes. Everyone suffers from daily stress and worry, a typical cause of communication problems, but this stone clears the mind of distracting thoughts and guides us towards a higher consciousness. 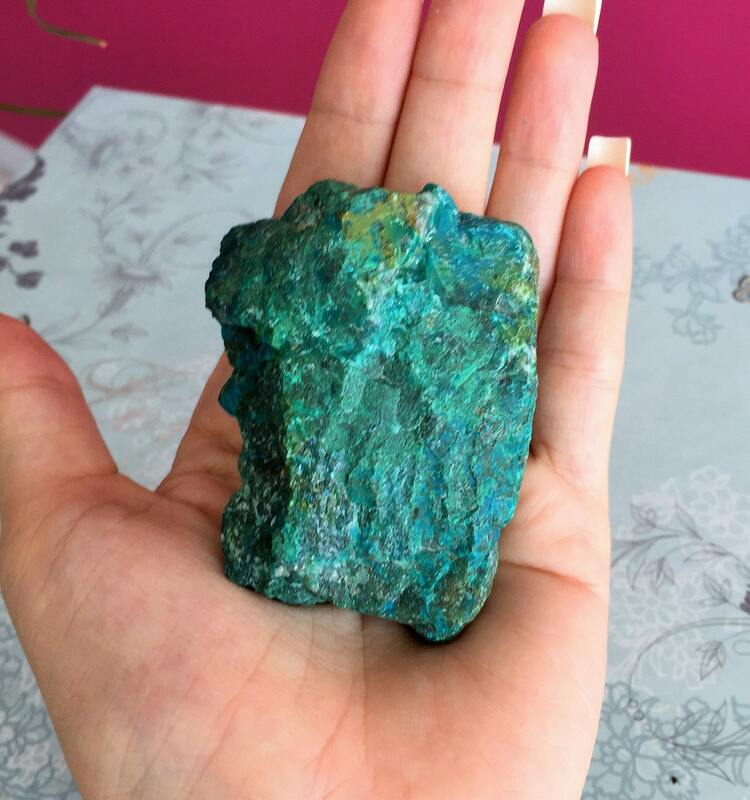 Receive 1 ONE Chrysocolla stone similar to one in photos. 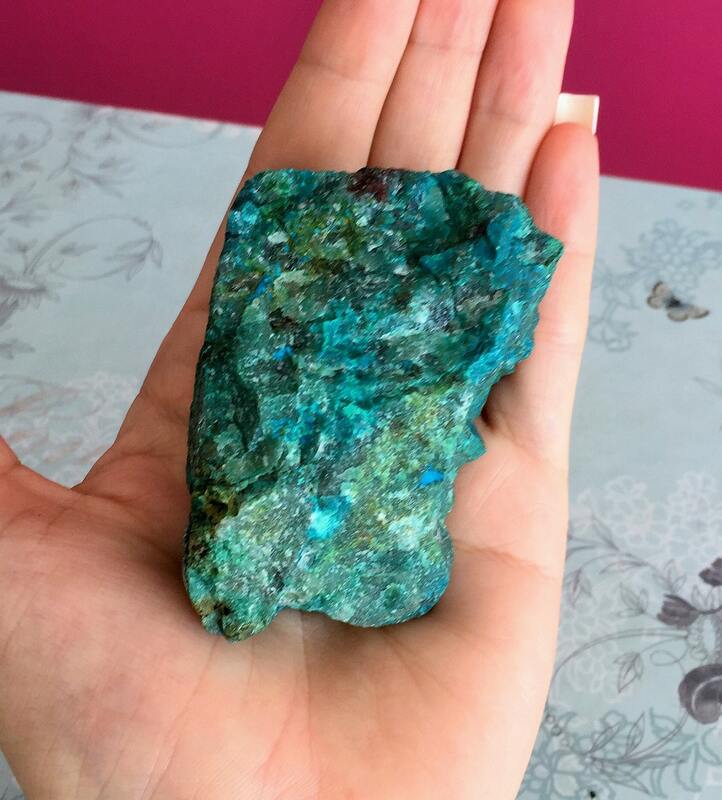 Thank you for the Chrysocolla, it is nice. Beautiful stone, well packaged and full of energy. Thank you so much. I will buy from again.